I recently ran across a remarkable survey of prominent US economists on the American Recovery and Reinvestment Act, the stimulus package Obama passed at the beginning of his presidency. 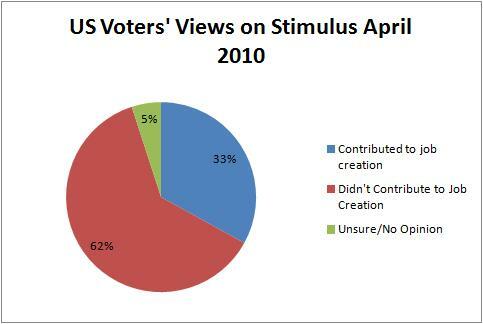 The results are striking for two reasons–they show a clear consensus among economists that the stimulus was a success, and they completely contradict popular opinion. Taking into account all of the ARRA’s economic consequences–including the economic costs of raising taxes to pay for the spending, its effects on future spending, and any other likely future effects–the benefits of the stimulus will end up exceeding its costs. 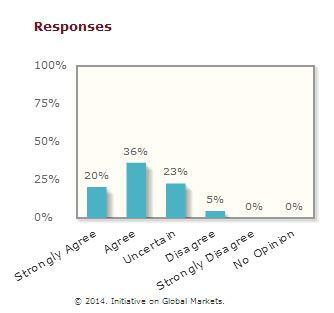 Only 5% disagreed, and none strongly disagreed. The ratio of those strongly agreeing or agreeing to those disagreeing is 25 to 2. 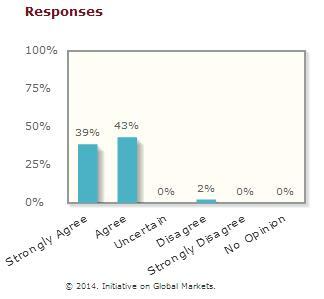 This consensus is even stronger than it was when the IGM previously asked the same question to its panel in 2012. Many of these people have dropped out of the unemployment figures because they are no longer actively seeking work, often because they have become discouraged and/or have acquired disability benefits. We call these the “long-term” unemployed. It is quite likely that republicans will retain control of the house in the 2014 elections, and may even regain control of the senate. There they will continue to push for reductions in spending despite the consensus among economists that this harms the recovery. Most of our politicians, pundits, and journalists themselves lack substantive formal training in economics, political economy, or anything else related. Voters, politicians, and pundits form something of a negative feedback loop. None of the players has the expertise to know what is going on, so all players reinforce one another’s misconceptions. The writings of the economists themselves are too inaccessible for lay people to readily read or report on, and what pieces that do get written spreading this information are often too dry to attract significant reader interest. 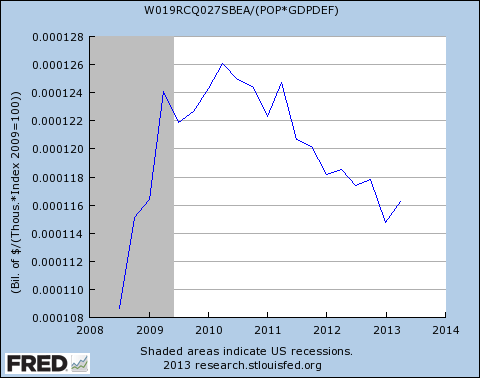 Voters do not themselves possess economic expertise. Voters are so deeply ignorant about economic matters that they do not even possess expertise at judging who has expertise. The issue that is most analogous? Climate change–97% of climate scientists agree that warming trends over the last half-century are due to human behavior, yet climate change is a low priority issue among voters and most do not believe that warming is human-caused. As with the economy, voters’ inability to recognize and trust expert opinion on climate science damages the prospects for constructive political action. When it comes to the economy and the climate, voters are too conceited about their own level of expertise. They suffer from what is called the Dunning-Kruger effect, in which unskilled individuals systematically overrate themselves due to their deep ignorance of what it means to be competent in a given field. Sadly, because our political system relies on large numbers of lay people to successfully identify and vote for skilled leaders, it is extraordinarily susceptible to this phenomenon, particularly when confronting issues that are counter-intuitive and require significant expertise to master. When the Dunning-Kruger effect happens in a democracy on a mass scale, the perpetrators are also the ultimate victims–the citizens themselves. Pain is only there when it is felt. So when the people say it, they mean what they felt. Experts only looks at numbers. They are academics. They are separated from the masses. And we all know where their funding come from. They are not on their own free capacity. If I let my kid skip school every day to ride on roller coasters, he won’t realize this has harmed him until well after the opportunity has passed to do anything about it. That’s correct under the assumption that school is good. If school turns out to be a waste of time, then your kid’s time is better spent elsewhere. You got a point there, with that DK effect. But the experts suffer from the inverse-DK effect as well.